Hey everybody! Brittany here of BrittanyJJones.com and I’m so excited to share with you all what I created using two Blank Slate Patterns, the Catalina Dress and Forsythe Trousers! 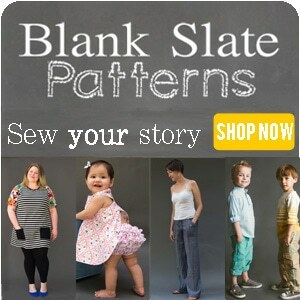 (affiliate links) Lately, I’ve really been interested in doing more pattern hacking. 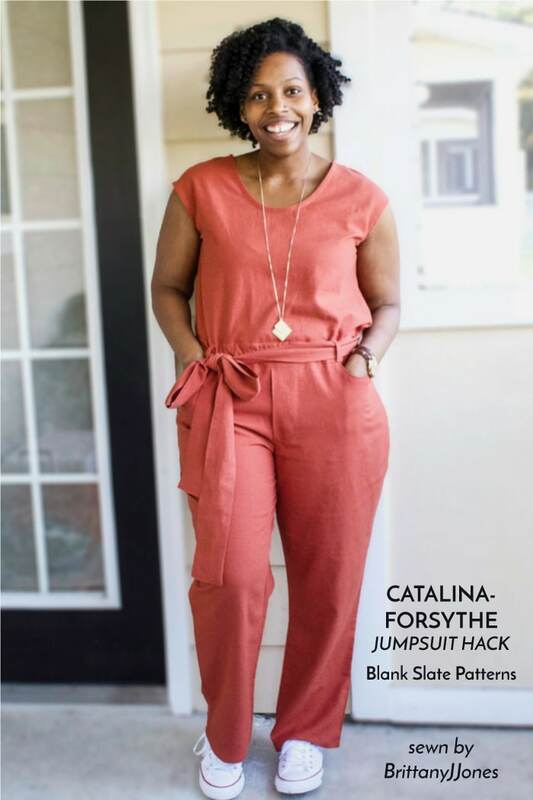 So I decided to create what I’m completely obsessed with making and can’t get enough of…..a jumpsuit! See how it all came together here. So, what happens when you sit down? You don’t seem to have made any length provisions. Is this made in a knit? Because most woven jumpsuits seem to have either a blousant bodice or a dropped crotch so that when you sit down, the garment isn’t too short (hip spread). Hi Lakaribane!! The fit is great when I sit. I cut a larger size to account a little for the crotch and with my normal pant adjustments (adding to the rise and spreading for a fuller bottom) the fit is good. Also it is a woven jumpsuit. Thanks for your question! How do you do “spreading” for a fuller bottom? I would like to try that too! Thanks for the reply. That’s good to know. Maybe you should add this information to the post? It’s not clear as written. 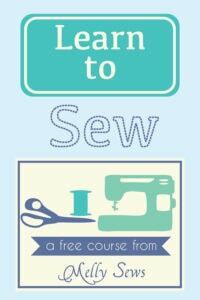 Don’t want people thinking just joining two pieces of fabric together will do the trick, LOL! That looks fantastic! Thanks for the inspiration. I’m planning to steal this idea for later.